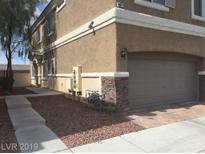 Below you can view all the townhouses for sale in the North Valley Court subdivision located in North Las Vegas Nevada. 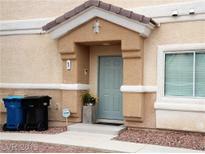 Listings in North Valley Court are updated daily from data we receive from the Las Vegas multiple listing service. To learn more about any of these townhouses or to receive custom notifications when a new property is listed for sale in North Valley Court, give us a call at 702-323-5963. Comes with Garage, Gated with roving security and easy access to HWY & shopping. MLS#2089639. Love Local Real Estate. Large master with vaulted ceilings/fresh paint. MLS#2085217. Wardley Real Estate. All furnishings are available for sale outside escrow, just make fair offer. MLS#2087214. Realty ONE Group, Inc.
Hoa Includes Water And Sewer. Community Pool, Grass Play Area MLS#2083976. Windermere Excellence. Sparkling community pool and a Dog park right across the way. This wont last long. MLS#2081681. Rooftop Realty. Boasting beautiful laminate wood flooring throughout the living area, with tile in bathrooms and kitchen. PLUS SIDs/LIDs ARE PAID OFF!! ! MLS#2081732. Las Vegas Shorewood Real Estat. Conveniently Located Near I-215, Schools & Shopping! MLS#2081816. BHHS Nevada Properties. Refrigerator, washer and dryer are included! MLS#2080061. Go Global Realty. Move in Ready with Grey Carpet, no Earth Tones Here! MLS#2079323. RE/MAX Advantage. GET READY it will Go Fast! MLS#2078696. Urban Nest Realty. Also Within Distance Is Aliante Casino And The I-215 Beltway MLS#2071821. Principle Realty Advisors. This Home is BEAUTIFUL, Must See! MLS#2069275. Simply Vegas.